New client? We can't wait to meet you! Try 3 classes for $39. 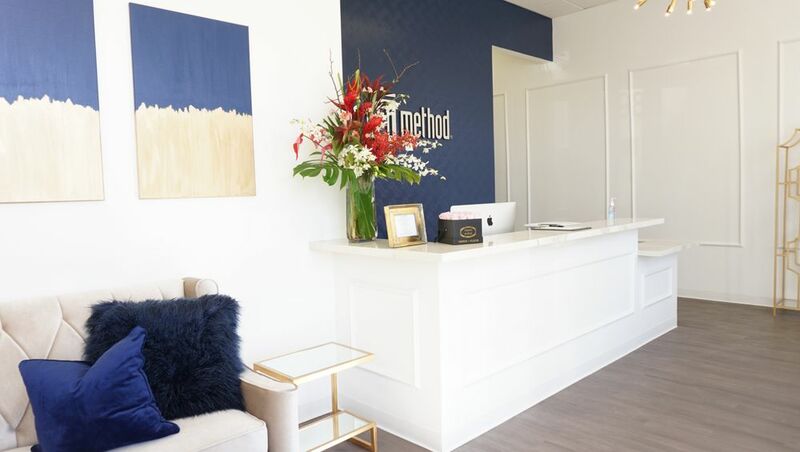 The Bar Method Fremont is a boutique fitness studio offering barre classes for students of all levels. The signature method uses your own body weight, the ballet barre and a few props to create a transformative workout that results in long, lean sculpted muscles. Not only does it reshape your entire body, but it allows you to channel your inner strength and leave class feeling strong, confident and poised. Highly-trained instructors customize the exercises to ensure they are safe and effective for any age and every body, including modifications for pregnant women and students with injuries. Our staff and community are here to support you from the moment you walk through the door. We are located in Central Fremont, by Peet's Coffee and across from Whole Foods. Our studio reflects a modern chic design with two studio rooms, a locker room with complimentary amenities, retail, and a spacious lounge. 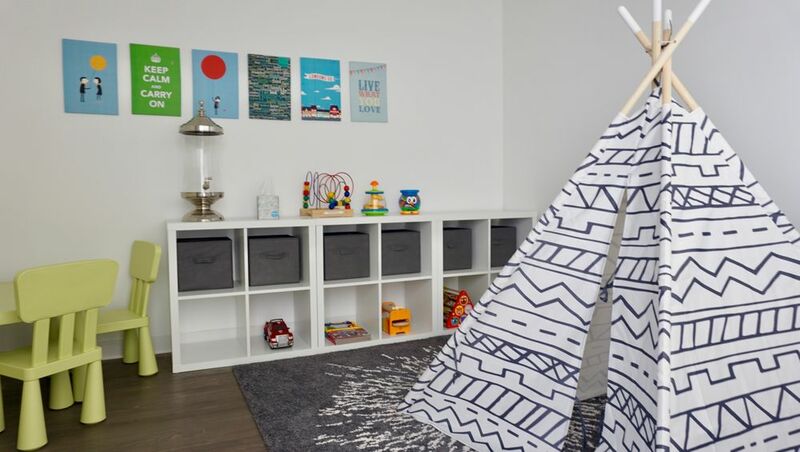 We also have a playroom where you can leave your little ones with our team during certain classes while you enjoy time for yourself. We are open 7 days a week. Abbey Ibe started her Bar Method journey in 2009. The Bar Method became her hour of escape and she immediately fell in love with its technique and its power to transform her body, especially during both of her pregnancies. The Bar Method has empowered her to become a business owner and she is thrilled to share her love and passion for this life changing workout with the Fremont community. If you ‘late cancel’ or ‘no-show’, your account will be charged $10. Mothers who bring children under age 9 must ensure they are in the Kids Club room during class. Children are not allowed to play or climb on the stall bars and other exercise equipment. For childcare cost, days/times, and policies, please call the studio. Club Bar Monthly Members are allowed to freeze their memberships up to 6-weeks in a calendar year. A fee of $25 is required each time you freeze your membership.